I grew up in Sydney and completed an undergraduate honours degree in government at Sydney University in 1975. For the next twenty years, I worked as a development worker and adult educator in Aboriginal communities, returning to postgraduate academic study in the mid 1990s. I received my PhD in May 1998. I then held contract research positions with the CRC for Aboriginal Health, until January 2002, when I obtained my first permanent academic appointment, to UNE. In January 2009, I was promoted to Associate Professor. 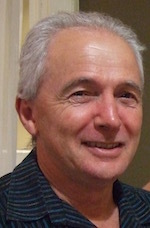 My research focuses on four inter-related areas: Aboriginal adult education; the role of education as a determinant of health in Aboriginal communities; the history and theory of radical adult education (more often called ‘popular education’); and the development of adult education in Timor-Leste. Each is a cognate area within the broader field of adult education and development, which examines adult education’s role in the development of newly-independent countries of the South, and marginalised and disadvantaged communities of the North. In both my Timor-Leste and Aboriginal work, I have devoted significant time to local capacity-building, as part of fulfilling the ethical obligations of benefit-sharing when working with disadvantaged communities. This work also helps to maintain my direct links as an adult education academic to my professional field, providing many of the experiences on which I draw in my theoretical and research work. EDCX 381 Best Practices in Workplace Education & Training. Guenther, J., Bat, M., Stephens, A., Skewes, J., Boughton, B., Williamson, F., Wooltorton, S., Marshall, M. and Dwyer, A. (2017). Enhancing training advantage for remote Aboriginal and Torres Strait Islander learners. Adelaide: NCVER. Boughton, B., & Durnan, D. (2017). Popular Education Pedagogy and South-South Solidarity. An Asia Pacific Perspective. In A.V. Kotze & S. Walters (Eds), Forging Solidarity. Popular Education at Work (pp. 39-48). Rotterdam: Sense. Boughton, B. (2016). Popular education and mass adult literacy campaigns. Beyond the ‘new literacy studies’. In K. Yasukawa & S. Black (Eds), Beyond economic interests. Critical perspectives in adult literacy & numeracy in a globalised world (pp. 149-164). Rotterdam: Sense. Boughton, B. (2016). Radical International Adult Education. A Pedagogy of Solidarity. In R. Mizzi, T. Rocco & S. Shore (Eds), Disrupting Adult and Community Education. Teaching, Learning and Working in the Periphery (pp. 257-273). New York: SUNY Press. Boughton, B. (2013). Timor-Leste: Education, decolonisation and development. In L. Symaco (Ed. ), Education in South East Asia (pp. 299-321). London: Continuum. Boughton, B. (2012). Adult literacy, popular education and Cuban educational aid in Timor-Leste. In A. Hickling-Hudson, J.C. Gonzalez & R. Preston (Eds), The Capacity to Share. A study of Cuba's International Cooperation in Educational Development. (pp. 197-216) New York: Palgrave-Macmillan. Boughton, B. (2011). Timor-Leste: Building a post-conflict education system. In L. Symaco & C. Brock (Eds), Aspects of Education in South-East Asia. (pp. 177-196). Oxford: Symposium Books. Boughton, B. (2009). Challenging donor agendas in adult & workplace education in Timor-Leste. In L. Cooper & S. Walters (Eds), Learning/Work. Critical Perspectives on Lifelong Learning and Work (pp. 74-87). Capetown, South Africa: Human Science Research Council Press. Boughton, B. (2008). Adult education and development. In J. Athanasou (Ed. ), Adult Education and Training (pp. 119-133). Sydney: James Barlow Publishing. Boughton, B., & Durnan, D. (2007). The political economy of adult education and development. In D. Kingsbury & M. Leach (Eds), East Timor. Beyond independence (pp. 209-222). Clayton: Monash University Press. Bell, S., Boughton, B., & Bartlett, B. (2007). Education as a Determinant of Indigenous Health. In I. Anderson, F. Baum & M. Bentley (Eds), Beyond Bandaids: Exploring the Social Determinants of Aboriginal Health (pp. 37-55). Darwin: Cooperative Research Centre for Aboriginal Health. Boughton, B. (2005). Assimilationism and anti-communism. A Reflection on Gerald Peel's 'Isles of the Torres Strait'. In T. Rowse (Ed. ), Contesting Assimilation: Histories of Colonial and Indigenous Initiatives. Perth: API-Network. Boughton, B. (2005). "The Workers' University": Australia's Marx Schools & the International Communist Movement's Contribution to Popular Education. In J. Crowther, V. Galloway & I. Martin (Eds), Popular Education: Engaging the Academy (pp. 100-109). Leicester: NIACE. Boughton, B., Chee, D. A., Beetson, J., Durnan, D., & Leblanch, J.C. (2013). An Aboriginal Adult Literacy Campaign in Australia using Yes I Can. Literacy and Numeracy Studies, 21(1), pp.5-32. Boughton, B. (2013). Popular education and the 'party line'. Globalisation, Societies and Education, Special Issue: Education in/for socialism: current and historical perspectives, (2), 239-257. Da Silva, A. B., Durnan, D., & Boughton, B. (2009). Popular education and postconflict peace building and development in Timor-Leste. New Community Quarterly, Volume 7 (Number 4, Summer). Boughton, B. (2009). Popular Education for Literacy & Health Development in Indigenous Australia. Australian Journal of Indigenous Education, Vol 38, pp103 - 108. Boughton, B., Junior, A., & Hampson, I. (2007). Varieties of Wokplace Learning: An Introduction. Economics and Labour Relations Review, 17(2), 99-106. Boughton, B. (2007). Researching Workplace Learning and Class. The Economics and Labour Relations Review, 17(2), 157-164. Boughton, B., Beetson, J., Waites, M. & Durnan, D. (2017). South-South Development Cooperation: Cuba¹s Yes, I Can! Adult Literacy Campaign Model in Timor-Leste and Aboriginal Australia. In R. Toumu’a & M.a. ‘Otunuku (Eds), Education for What? Revisited. Proceedings of the Vaka Pasifiki Education Conference 2016 (pp. 105-113). Honiara, The Solomon Islands: Institute of Education, University of the South Pacific. Boughton, B. (2013). What can the Cuban School of Adult Literacy offer in Aboriginal Australia? A Pilot Study in a Remote Aboriginal Community. In C. Kawalilak & J. Groen (Eds), Proceedings of the 32nd Annual Conference of the Canadian Association for the Study of Adult Education, Victoria B.C. Canada June 3-5, 2013. Boughton, B. (2012). Resilience, solidarity and adult literacy. Paper presented at the Lifelong learning = Resilient Communities. 52nd Annual Adult Learning Australia Conference, Byron Bay, NSW, 10-12 October 2012. Boughton, B., & Durnan, D. (2011). Adult literacy campaigns, political participation and nation building in Timor-Leste. Paper presented at the Language, Education & Diversity Conference University of Aukland New Zealand 22-25 November 2011, University of Aukland, New Zealand. Boughton, B. (2010). Ten years On: Adult Education & Development in Timor-Leste. In Leach, M et al. (2010). Understanding Timor-Leste. Proceedings of the Timor Leste Studies Association Conference July 2-3 2009, Dili, Timor-Leste. Boughton, B. (2005). What does the working class learn when it works? Proceedings of the Fourth International Researching Work & Learning Conference, UTS, Sydney. 14 December. Boughton, B. (2013). Mass Literacy Campaigns: A Pedagogy of Hope. Keynote Address. Paper presented at the VALBEC Conference Melbourne May 17th 2013. Literacies in a Diverse World. Leach, M., Mendes, N. C., Da Silva, A. B., Ximenes, A. D. C., & Boughton, B. (Eds). (2010). Hatene kona ba/ Compreender/ Understanding/ Mengerti Timor-Leste. Proceedings of the Timor Studies Association Conference, Dili, July 2009. Hawthorn: Swinburne Press. Boughton, B. (2009). Los! Hau Bele. Yo! Si Puedo comes to Timor-Leste. Paper presented at the Australian Caribbean Studies Association Conference, QUT, Brisbane, February 11-13, 2009. Boughton, B. (2005). Post- Conflict Higher Education Challenges in Timor Leste. Horizons. Newsletter of the International Association of Universities, Vol 11 (No. 2), p.8. Ewald, D. and Boughton, B (2002). Maternal Education and Child Health: An Exploratory Investigation in a Central Australian Aboriginal Community. CRC ATH Occasional Papers Series Issue No 7. Boughton, B. (2002). The Workers' University: Australia's Marx Schools & the International Communist Movement's Contribution to Popular Education. Popular Education: Engaging the Academy. J. Crowther, V. Galloway and I. Martin. Gray, A. and Boughton, B (2001). Education and Health Behaviour of Indigenous Australians: evidence from the 1994 National Aboriginal and Torres Strait Islander Survey (NATSIS). Darwin. Boughton, B. (2001). The Communist Party of Australia's Involvement in the Struggle for Aboriginal and Torres Strait Islander People's Rights 1920-1970. Labour and Community: Historical Essays. R. Markey. Wollongong, University of Wollongong Press: 263-294. Boughton, B. (2001). Inequalities in Central Australia's health system undermine Aboriginal health. CARPA Newsletter(Issue 33, November): pp. 20- 21. Boughton, B. (2001). Popular Education, Capacity-building and Action Research: Increasing Aboriginal Community Control over Education & Health Research. CRC ATH Occasional Paper Series. Issue No. 5. Darwin, CRC ATH. Central Australian Aboriginal Congress and Boughton, B (2001). Taking Control: Improving Secondary Indigenous Education in Central Australia. Alice Springs, CAAC. Boughton, B. (2000). What is the Connection between Aboriginal Education and Aboriginal Health? CRC ATH Occasional Paper Series, No. 2. Darwin, Cooperative Research Centre for Aboriginal and Tropical Health. Boughton, B. (1999). Strategies to Overcome Institutional Racism in Education. Submission to the Collins Review of Aboriginal Education in the NT, 20th April 1999. Boughton, B. (1999). Towards Evidence-based Improvements in Aboriginal Education and Health. Summary Report of the CRC ATH Indigenous Health and Education Systematic Review Project. Darwin, Cooperative Research Centre for Aboriginal and Tropical Health. Boughton, B. (1999). Just as impelled as ever to try the liberal racket. The influence of communism and anti-communism on Australian adult education history, as seen through the life of Esmonde Higgins. Some topics on adult education in Australia: Papers presented at a seminar on the history of adult education. E. Reid-Smith. Canberra, Adult Learning Australia Research Network and Centre for Learning and Work Research, Griffith University. Durnan, D. and Boughton, B (1999). Succeeding Against the Odds. The outcomes obtained by Indigenous students in Aboriginal community-controlled colleges. Adelaide, National Centre for Vocational Education Research. Boughton, B. (1998). Alternative VET Pathways to Indigenous Development. Adelaide, N.C.V.E.R. Boughton, B, T. Brown and G. Foley.(1997). Does Popular Education Have a Past? New Directions in Australian Adult Education, Sydney, University of Technology Sydney (UTS) Centre for Popular Education, pp1-27.